What could be better than a garden tour? How about 12 garden tours? Join me and my gardening friends for garden inspiration! 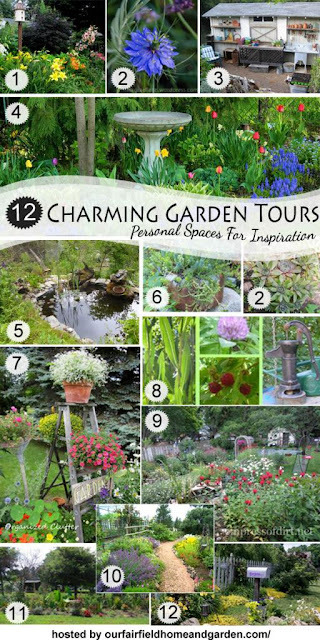 Click on the photo collage to be taken to all 12 garden tour links! My garden peaked a couple weeks ago, but I thought I would still put together a tour as a recap of my gardens and outdoor vignettes. I am starting the tour at my covered patio. Details on my covered patio decorating are here. It's a nice little outdoor seating area with a ceiling fan overhead. I covered the chair cushions with burlap earlier this spring, and made a rooster iron-on transfer on my printer, courtesy of the Graphics Fairy. That post is here. I found the scale and the lantern earlier this summer at a consignment shop. I love collecting and displaying vintage garden tools. I posted about this vignette here. Swingtime fuchsias hang in galvanized pails. Next to my covered patio is the new potting sink/bench. Here is the original summer post on my whimsical summer kitchen. The vintage outdoor ironing board vignette with calibrachoa is also here. The original ironing board post is here. At the edge of the front patio is my sedum and sempervivum garden with my vintage toy Tonka loader. I posted about this vignette here. Then there's the "chicken coop" garden with chicken feeders and roosters. These portulaca are taking over. They are all self seeded. See how this flower bed started out this season here. The front of my north facing house and hostas and variegated Solomon's seal. The vignette with crafty flowers and rusty figurines is posted here, and a post about Solomon's seal, Perennial Plant of 2013 is here. Fuchsias, pumps, and my sprinkler collection on the front corner of the house. Here is my original fuchsia post. I even spelled fuchsias wrong! That's the front of the house. Check out my curb appeal post here. The front flower border of annuals and perennials. Do you want to know what I planted here? It's all here in Anatomy of a Cottage Garden. The step ladder adds vertical interest to the flower border. Next to the border is my chippy white wheelbarrow. I purchased this vintage wringer this year too for $8. What a find! These annuals have filled out nicely since the original post here. A repurposed tree house ladder with terra cotta pots. A terra cotta pot edging under the tree by my deck. My terra cotta pot edging details are here. Futon ends and Pottery barn miniature chairs beside the deck. Find more photos of the futon ends here. Horseshoes and succulents planted beside the deck. A vintage bike on the deck. Here is my recent bike post. The kitchen fairy garden on the deck. See the planting of the fairy garden here. A barrel planter of sunpatiens and lobelia. The view from the deck to the back yard. "Another potting bench" is originally posted here. The gate was a recent purchase for $20. The old barn door and neutral plantings. The framed lobelia hangs from a tree. See how these plantings have grown since the original post here, and here. A vignette from the back yard. This vignette first appeared on my blog here. My clematis got tangled at the bottom and didn't grow up the trellis this year. Another gardening season is coming to a close here in northern Minnesota. About another month, and we could have a killing frost. All in all it was a good season! Oh Carlene, hubs and I sat down with a cup of coffee to look at your gardens once again. We just love your beautiful flower gardens and vintage items. It's hot and dry here and seems my flowers are not quite as vibrant as yours. Perhaps it's because we do not have the lush green backgrounds you do. Thank you for a summer of inspiration! What a great tour! So cute, I can't even begin to name all the stuff I loved about your garden - fantastic! Charlene, your gardens are stunning. I love everything about them. Thank you for a tour of your gardens. Absolutely the cutest garden tour ever. It's so charming and inviting. I love it. You know I love it all! Hard to believe your garden has peaked already....summer went by way too fast. sigh. Still love that kitchen fairy garden and want one! OMG!! I am totally in love with your sweet garden and EVERYTHING in it!! 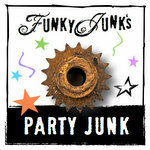 So whimsical and how clever you are in the way you created vignettes and planters!! You deserve a round of applause, girl!! Clap, Clap!! That is my applauding you!! LOL!! Your gardens are just beautiful, Carlene. I'll be sad to see summer go, it all ends much too quickly! I hope my morning glories bloom before the frost! Carlene, you know I love your garden and all the treasures you have. That chippy wheelbarrow and that door get me every time. Thanks for sharing this with us again!! You have so many ideas I want to borrow - but it would be so much easier if you'd just adopt me and let me move into your garden. I was about to send my scale along to another home, but of course now I am going to repurpose it! Your flower gardens are amazing!! So pretty and inviting. Can't pick out a favorite, because I love everything about all of it. So pretty! I think the barn door is my fave. 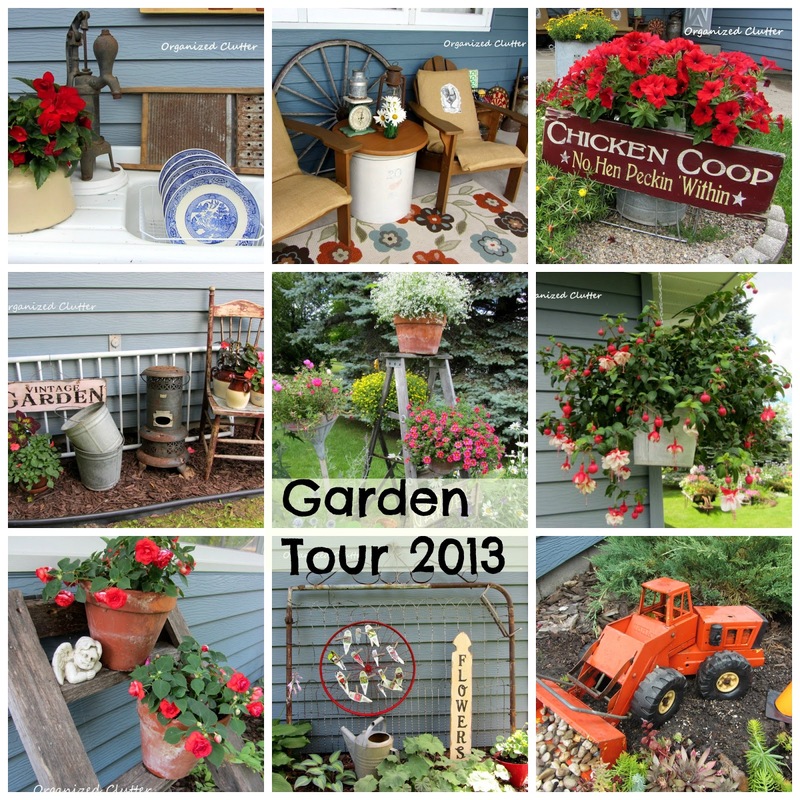 Thanks so much for sharing your special garden..
Carlene, I loved this recap. Saw a couple that I had missed. Your garden is beautiful and full of such delightful things! I have slacked in my garden a bit this year. With being gone so long on vacation and working on the basement she is not quite up to par. Thanks for sharing all of your wonderful creativeness! I LOVE your gardens and wish mine looked half as good. Beautiful beautiful! Your garden is just beautiful and has inspired me to do more with my own. I did a garden tour on my blog (not my own garden, but of several that just amazed me) you might enjoy seeing it. I hope you do another tour next year. Your garden is absolutely amazing!! Thanks for so much inspiration! !